Nice win in Bel-Air! Do you not often run the 5k distance? You killed that first mile. Don’t run that short often, but wanted to see what I could do. I definitely went out to fast…it is the fastest mile on the course, but it was still too fast. 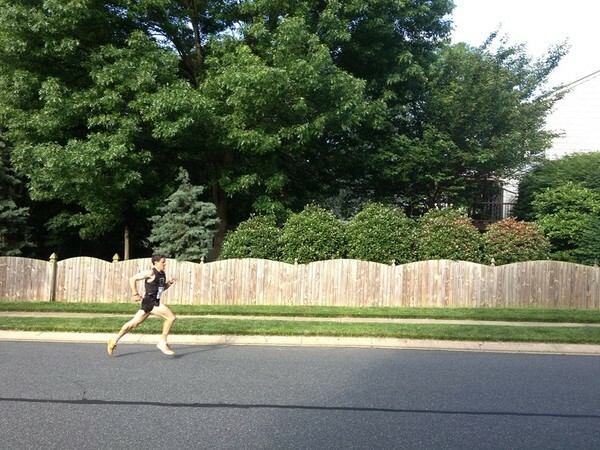 Im taking in shot at the Damiens Run 5k course record on Sunday….14:23….it’s going to be hard! How’d Damiens 5k go? 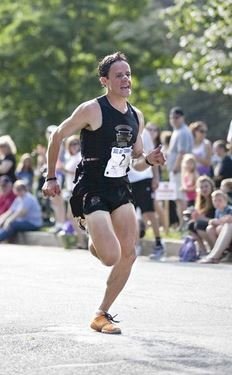 You would have had some competition this year at the Baltimore 10-Miler. Leader went 52 mins. Dreaded Druid Hills this weekend? Thanks for seeing how it’s been going. I need to put up a post….been a busy last few weeks. Sorry to hear about the injury. Maybe a rest isn’t such a bad thing before you gear up for the fall though. Seems to take an injury to get runners to take it easy. Qualifying for the Olympic trials is going to be a tall order. Maybe a few extra miles with that double stroller for strength and motivation. I’m planning to run the Baltimore marathon in October and hopefully best my time in Houston this year of 2:57. Keep us up to date once you get back in to training. But no rush!